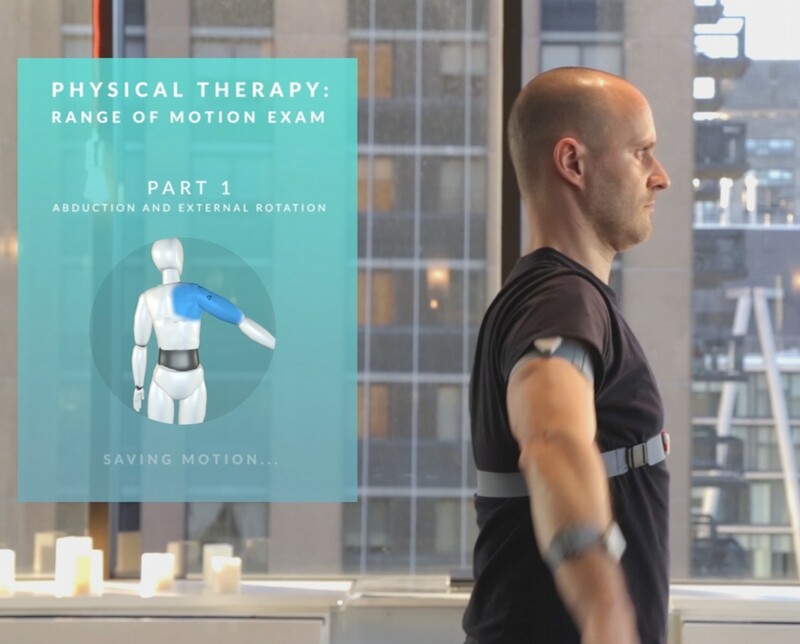 Winning faculty and student teams from Columbia University, NYU, The New School, CUNY, Pratt and Cornell Tech demonstrated new technology at NYC Media Lab’s 2018 Summit. 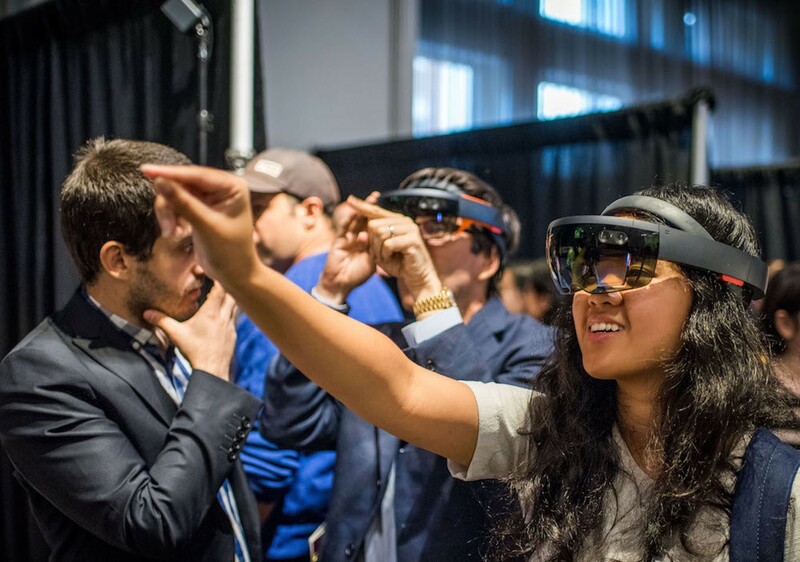 NYC Media Lab’s Annual Summit on Thursday, September 20th, 2018, was host to 100 interactive demos of emerging media and technology from NYC Media Lab’s consortium of universities. Entrepreneurs, engineers, creative technologists, product designers, data scientists and makers convened at The New School for the event’s NYC Media Lab 100 Demo Expo — a “science-fair” showcase that brings together faculty and students from a wide range of disciplines. Demo participants presented their startups, research, and prototypes to a crowd of more than 1,000 attendees, including thought leaders and fellow technologists from leading digital media, technology, and communications companies. $25,000 in prizes was awarded by NYC Media Lab to projects that represent the creativity, technical depth and potential impact of the ideas emerging from faculty and students across NYC universities. This year, demo awards were split into five central categories, representing areas of interest for NYC Media Lab and the greater NYC-based innovation community: Engineering, XR (virtual, augmented and mixed reality), Data Science, Entrepreneurial, and Creative Technology. Read on to learn about the winners, or browse the demo expo here. This project is an end-to-end system that receives a single audio channel containing a mixture of speakers by a listener along with the listener’s neural signals, automatically separates the individual speakers in the mixture, determines which speaker is being listened to, and then amplifies the attended speaker’s voice to assist the listener — all in under 10 seconds. Read more about this research project at Columbia Engineering. 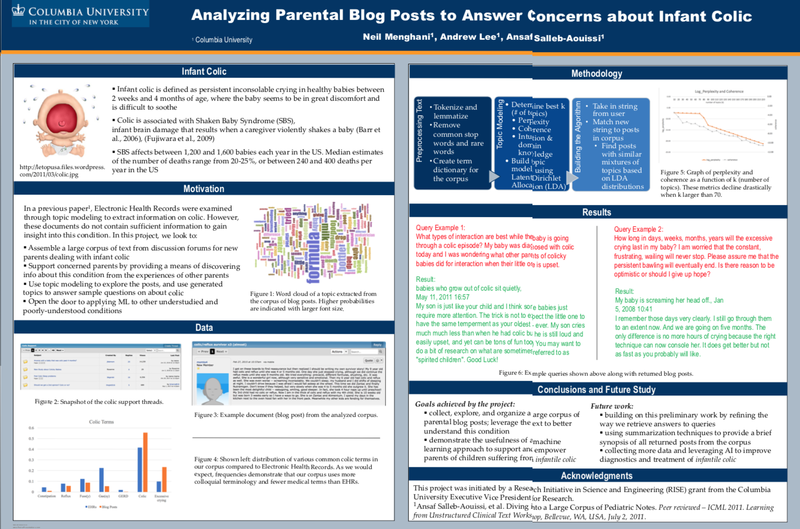 This project explores methods of applying natural language processing to a large corpus of text collected from discussion forums for new parents dealing with infant colic, a condition consisting of episodes of inconsolable crying in otherwise healthy babies. The Pollinators Pavilion provides inhabitation, scientific monitoring and public awareness for solitary bees, one of our most efficient yet understudied native pollinators. Equipped with sensors, cameras and microprocessors, this prototype for analogous habitat seeks to develop automated insect identification, contributing to the science and public appreciation of these pollinators. 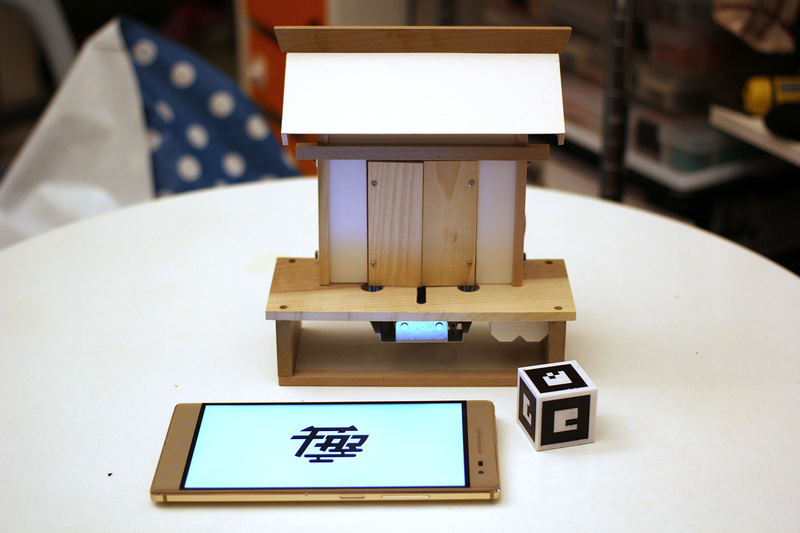 Fortune AR is a playful attempt to enhance the experience of interfacing with a physical fortunetelling machine using technology such as Augmented Reality and the Internet of Things. Experience immersive local news stories created by small journalism organizations in collaboration with graduate students at CUNY. This project focuses on the humanized extreme emotion carrier — tears and how tears can be defined as a language to build communication between human and machines. “Misundersthood” is an interactive hoodie and narrative that addresses the issues of police brutality. Artificial Digitality is an abstract music album, narrating how the world has been changing with the advent of Artificial Intelligence; each composition in the album expresses the world of that period of time. C-ALEX is an exoskeleton which measures your leg and provides visual feedback through the hololens and haptic feedback at the same time. 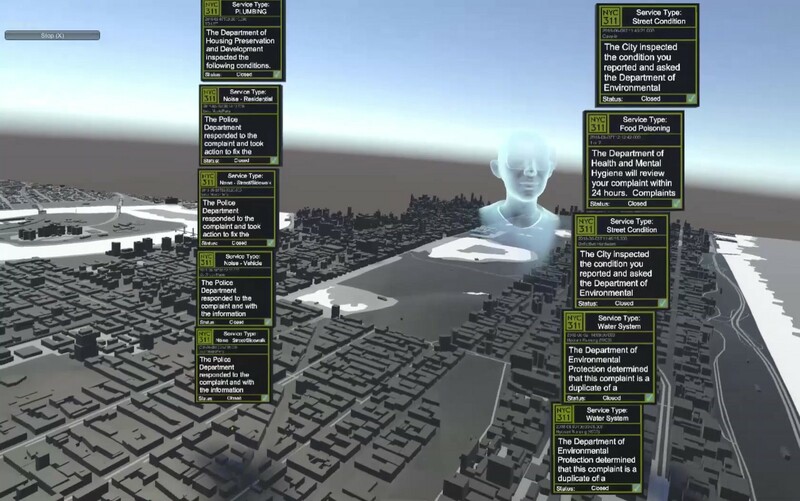 Multiple users in VR and AR collaboratively explore live urban data in context of an immersive scale model of New York City. A physical computing-powered dome that uses sensory experience to reveal hidden structures of the universe. The dome is suspended from the ceiling providing a 360 view of the experience. 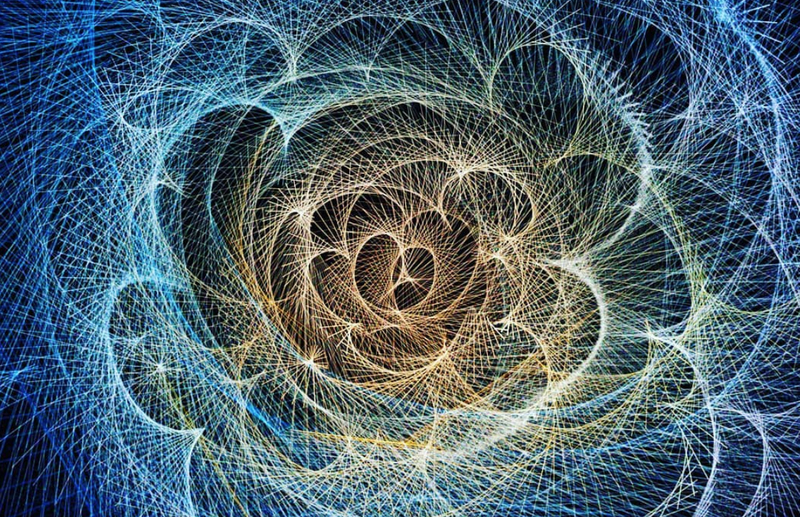 The dimensionality of the piece conveys the effect of dark matter warping the structure of the universe. Healing Destinations is an interactive textable globe that allows people to travel virtually to any destination on earth. This demo is an intelligent agent learning to control the EEG emotion state by giving visual stimuli in virtual environment. This demo presents a practical open-access full-duplex radio enabling simultaneous transmission and reception on the same frequency channel for 5G wireless communications. The full-duplex radio was integrated in the ORBIT testbed and the full-duplex experiment is one of the pioneer experiments for the NSF PAWR COSMOS project. 800 million illiterate people worldwide struggle to use smartphones. 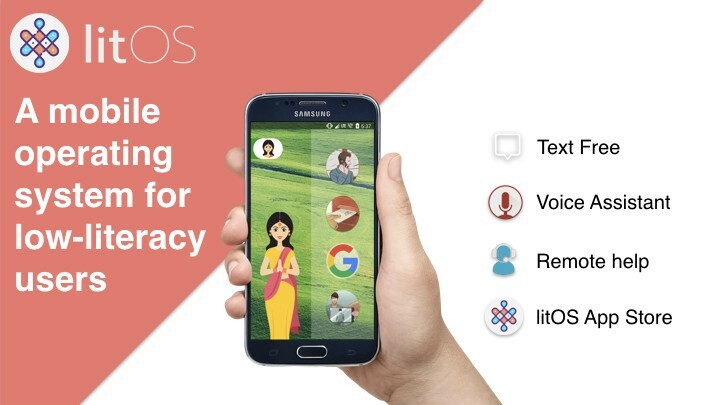 litOS is a text-free, voice assisted custom Android OS designed for the needs & capabilities of low-literacy users. 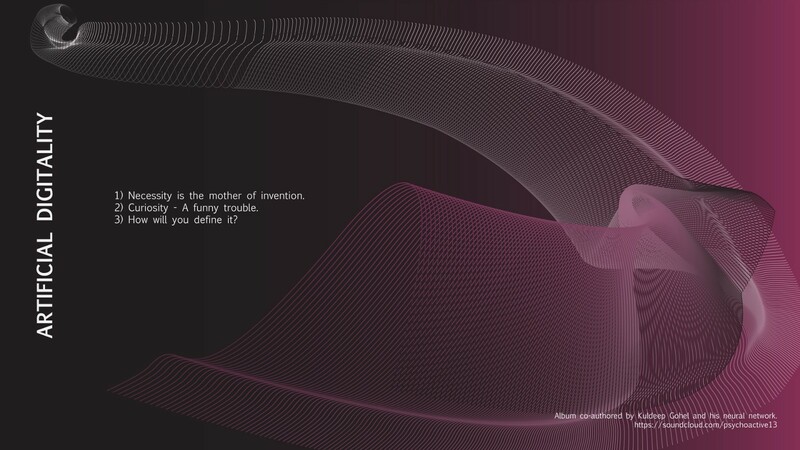 Cosmic Sugar is a GPU driven force field visualizer and crafting sandbox designed to facilitate immersion in a flow state. ‘Expressive Tactile Controls’ is a series of playful research experiments that ask: how could our relationship to tactile controls be augmented by giving these controls more personality?